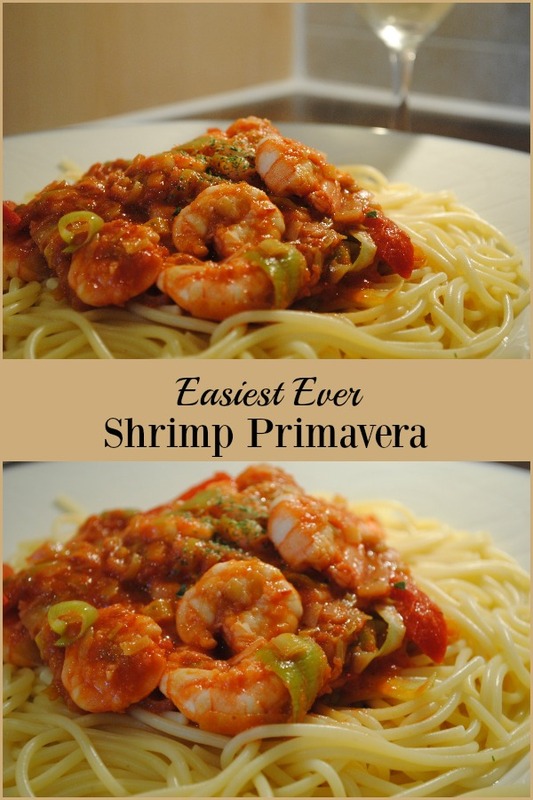 My Shrimp Primavera is perfect when you want to make something special, but don’t want to spend a lot of time in the kitchen. The first time I made this recipe was a number of years ago, when our son was on a school trip to Italy. I wanted to make a nice dinner à deux for my husband and I, but I had a busy day so didn’t want to fuss. As I had some raw shrimp in the freezer, I defrosted them earlier in the day so that I could de-vein them and have them ready. I also decided to use the fresh leeks I had in my organic vegetable box as well as a nice red pepper, but honestly, I think any colour pepper would be absolutely fine. Equally, I think a mild red onion would work in place of the leeks. My Easiest Ever Shrimp Primavera does fry in a bit more oil than I normally use, but it worked really well. I can get a very mild olive oil here that is great for frying, or you could use any other mild vegetable oil that is good at high temperatures (groundnut or sunflower would work well). I made this dish in a wok, but you could use a deep, wide frying pan if you don’t have one. Aside from the fiddly de-veining of the shrimp, the whole dish was incredibly quick to prepare, and as I had done that ahead of time, I actually had dinner on the table in less than 20 minutes. It’s a good idea to have everything sliced and ready to start, and you will need a small grater to hand for the garlic. I used sieved tomatoes or passata, but you could use homemade or jarred tomato sauce instead. 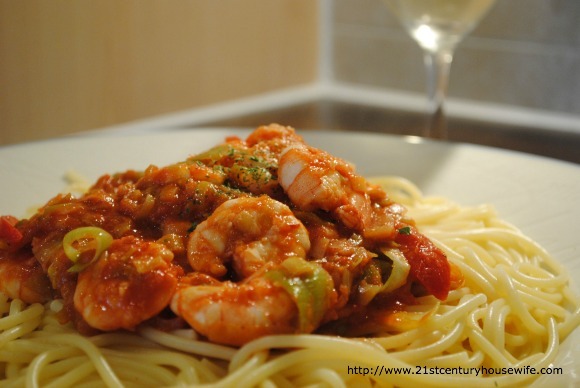 We enjoyed our Shrimp Primavera with a glass of Sauvignon Blanc and it made for a lovely relaxed weeknight dinner. I was incredibly pleased with how delicious this was, especially when it required so little effort! I’m a bit greedy when it comes to shrimp, so I prepared about ten each, but you could use less if you prefer. 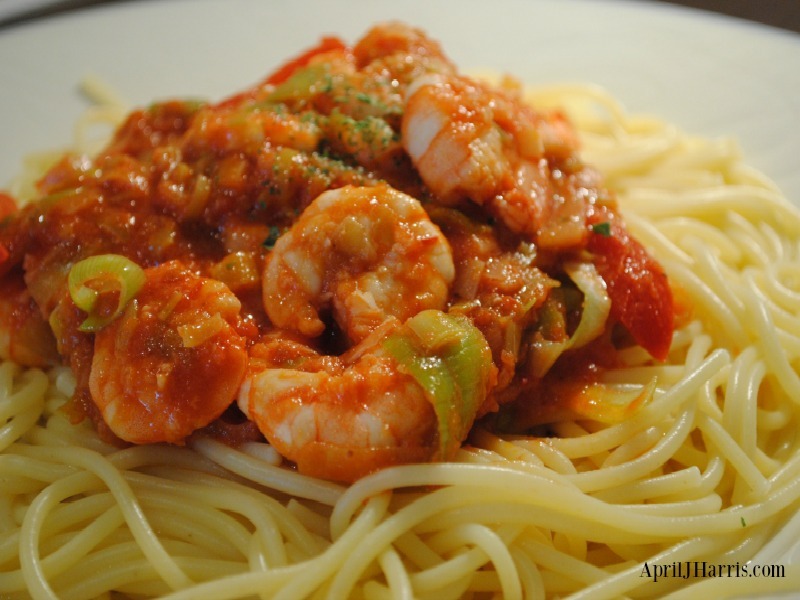 To make the recipe gluten free, serve the Shrimp Primavera over rice or use gluten free pasta. Heat the oil in a large frying pan or wok over medium heat until it is nearly smoking. Be very careful not to leave the pan unattended. Put the spaghetti in boiling salted water to cook according to package directions.This normally takes about 10 minutes. When the oil is hot, add the leeks and stir fry until they begin to soften. Add the red pepper and grate in the garlic. Stir fry for about 3 to 4 minutes, or until the vegetables are soft, but still crisp. 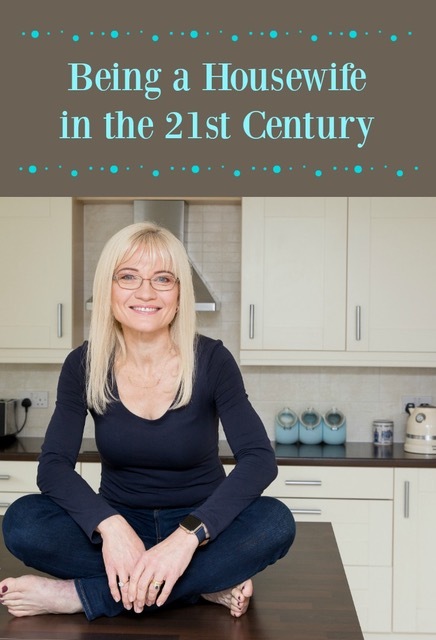 If things seem to be cooking too fast, turn the heat back a bit. Add the shrimp, and cook, stirring constantly, until they turn pink and are cooked through. This will take about four minutes. Reduce the heat and add the tomato sauce. Heat through and season with salt and pepper to taste. Drain the spaghetti and divide between two plates. Serve the Shrimp Primavera over top of the pasta. Wow….looks so good and I so want this…even if it is only 5:30 am…LOL.. Thanks for sharing, April! This looks so good!! Thank you, Emily, I’m glad you like it! This looks wonderful April. I love shrimp! Thanks for sharing at Simple Supper Tuesday. Thank you, Miz Helen. I hope you are having a lovely week!